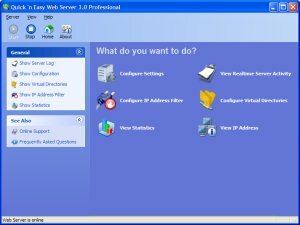 Setting up your own web server never has been easier! Download, unzip and specify the folder where your webpages are located. That’s it! 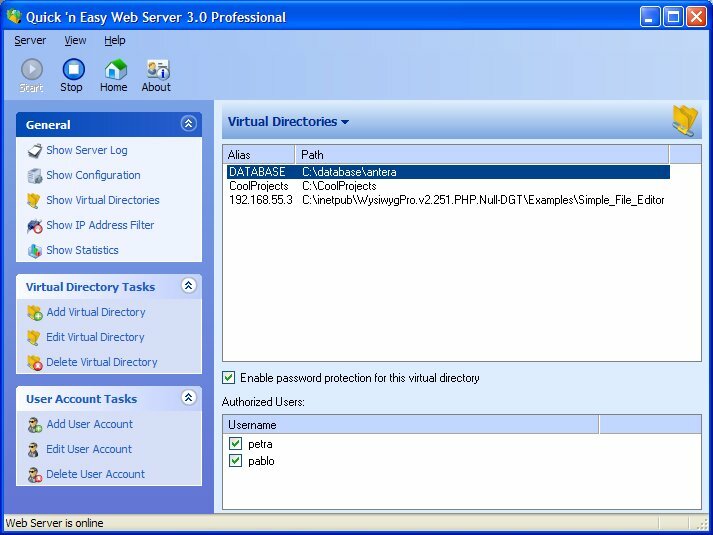 Do you want run your own personal webserver or just want to test your ASP/PHP scripts before you upload them to your webhosting server? No problem, Quick ’n Easy Web Server can handle it! 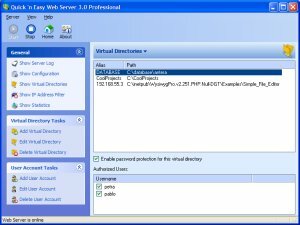 Sends directory listing if default HTML is not found in directory. CGI support for running PHP, Perl, MySQL and much more! Cookie support (including 'arrays' and enumeration!). 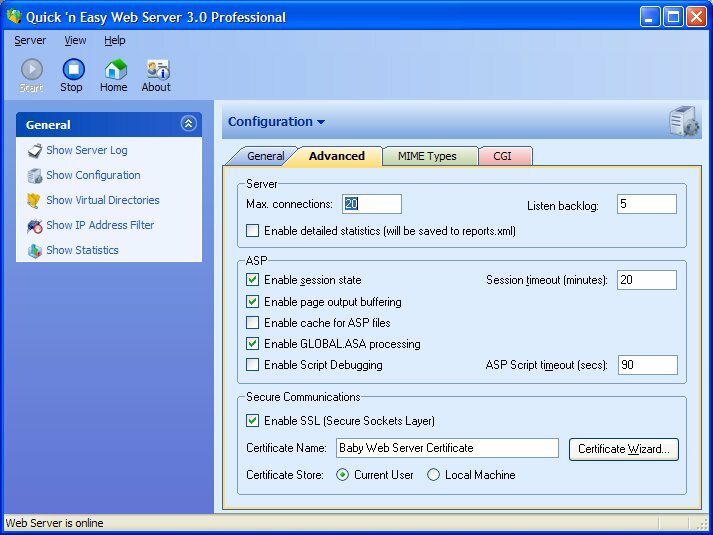 SSI (Server Side Includes) support. Advanced server settings which can be used to optimize performance. 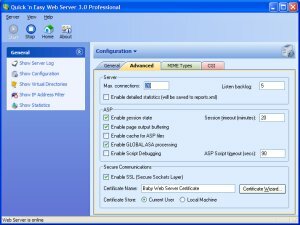 Support for SSL (Secure Socket Layer). ASP Cache Manager to improve performance of ASP pages. Source code available here MFC/C++ source code.